IVCC drilled 4 Boreholes, ZKT-4 (Dia. P/H/N/B), ZKT-5 (Dia. H/N), ZKT-6 (Dia. H/N) and ZKC-15 (Dia. H/N). These had a maximum depth of up to 400 meters. Total drilling footage for this phase was 1,325 meters. IVCC carried out Rotary Drilling to recover cores from soil, weathered and fresh rock. All holes were drilled vertically. Water Pressure Tests were also carried out. IVCC also worked on excavation (tunneling) of Exploratory 3 Adits (Size 2.5mx3.25m) for Site Investigation. Locations for Adits are PD8 (Length 180m), PD9 (Length 180m) & PD10 (Length 140m). Total drilling footage for Adits was 500 meters. IVCC worked on further Excavation (tunneling) of of Exploratory 4Adits PD3, PD4, PD5 & PD6) 2mx2min size for Site Investigation. Maximum depth of this set of Adits was 62.50meters. 12 Exploratory Chambers (Chamber Size 2mx2mx2m). 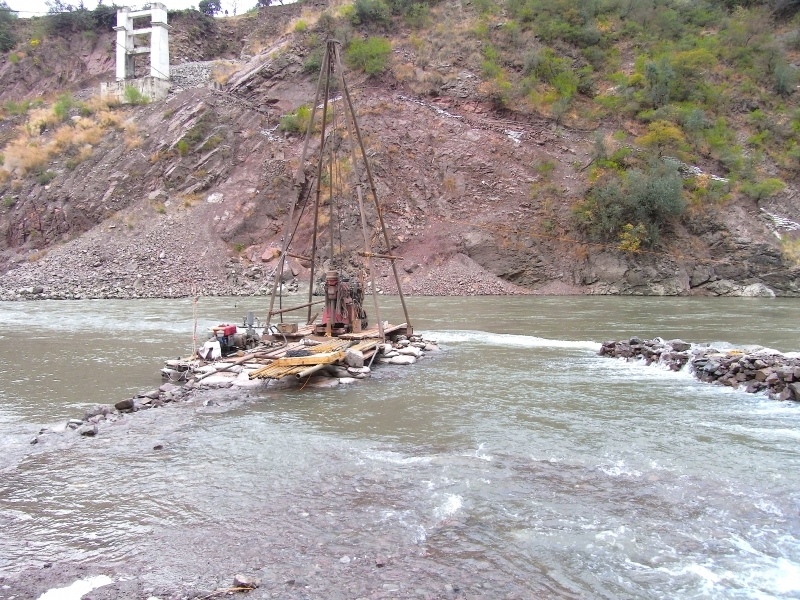 Removal of overburden from Adits. Total of 40 meters.